~ ~ ~ ~ ~ ~ ~ ~ ~ ~ is it too late? Such thoughtful reflections that most women (and men?) must ponder before taking this significant step. 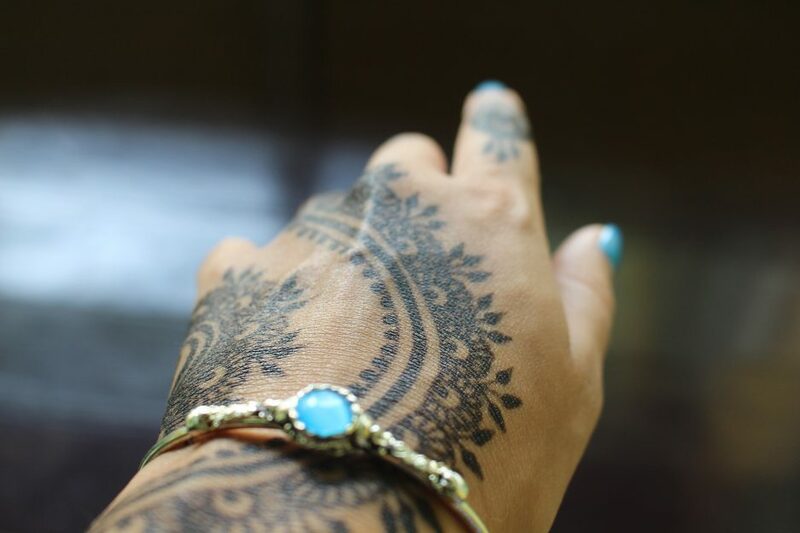 All the preparation in the world – including the beautiful mehndi patterns – cannot answer until we embark on the journey full of hope and promise. I suppose the only thing certain is that there will be change. Hopefully, for the good ultimately. Well put, a journey of hope and promise. Thanks so much for your feedback. It takes me back many years to a time when these uncertainties were mine… then, I did not particularly enjoy the ceremony! You say it beautifully, and certainly, your little one’s picture embellishes it aptly. A great post! Absolutely what I was trying to put across, the anxieties that are not outwardly apparent. The bigger the ceremonies…the greater the feeling is the way I see it. This is a beautiful photo and beautiful reflective words to accompany it. For what it’s worth, from this person’s point of view, my wish is that these intricacies are the beginning of a new union based upon respect and friendship of the deepest kind. Will he be her master or her friend? Friend sounds appropriate,but the intricacies of Henna might have everything to do with her fate. Lovely poem,it tells a lot in a very subtle way,I think. Thank you Ranu. The intricate pattern seems to represent the uncertainties the bride faces at the time.